Amy the Notorious cat is seen breaking out her best friend Michele from her playpen. The owners wanted to find out how Michele managed to get out of her playpen when they kept finding her outside of it. The most bizarre thing they couldn’t figure out was how Michele got out without using the play pen’s door, as it was always still closed. 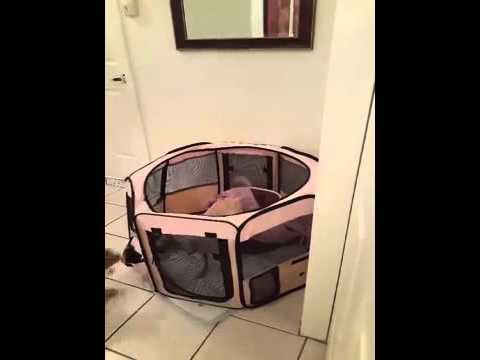 They tricked the dog into thinking they left the room and captured the hidden mystery. Previous If Teresa’s daughter is my daughter’s mother, what am I to Teresa?